Last Sunday was Gold Star Mother's Day. In this issue, we describe two of the many ceremonies that took place across the U.S.A. We also ask that you share your experiences of this event with us. A recent study has compared data from military personnel travelling in two different types of vehicles in combat zones. The results clearly show that recent investments in MRAP vehicles have paid off by saving the lives of U.S. troops overseas. Information about this important news can be found here this week. We would like to hear about the past experiences of U.S. military veterans, to include in a new regular newsletter feature. We ask you to forward us your stories. We also have information on the 37th annual Marine Corps Marathon, and a reminder about an online chat with Dr. Bridget Cantrell on PTSD and warrior transitioning. 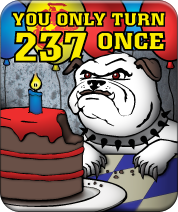 We're making progress on our goal for the Marine Corps Birthday boxes, but with just a week left before we ship the boxes overseas, we need your help! Click here to donate, or click here to learn more. 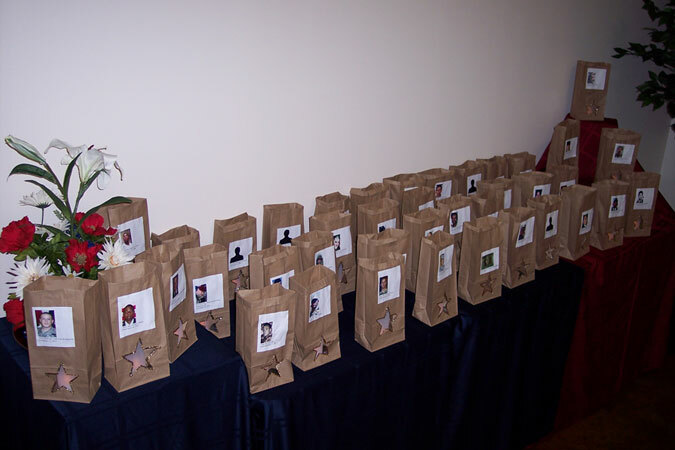 In Miami, Fl, Gold Star Family members and personnel from US Southern Command and US Army Garrison Miami lit 108 luminaries, each bearing the name and photo of a hero from the South Florida region. The luminaries were displayed in a common area, and burned for eight days prior to Gold Star Sunday. About 30 Luminaries were lit in Rock Quarry Park in Columbia, MO on Sunday, September 30th. The brief ceremony was held at sunset. About 30 individuals attended, including mothers and fathers who had lost their children in war. A line of luminaries was lit following a short presentation and a group prayer. The chain of lights remained lit all night, and was clearly visible to thousands of people driving by. We would like to hear stories about your ceremony- Please upload descriptions of how you spent last Gold Star Mother's Day, along with pictures, to our discussion group on MFN, or email them to MP@MarineParents.com. New data collected in Afghanistan shows that Mine Resistant Ambush Protected trucks, or MRAPs, are more than 10 times safer for troops riding inside than older Humvee vehicles. MRAPs are designed with a heavily armored V-shaped hull that deflects the force of IED blasts, in contrast to the flat bottomed design of the Humvee. 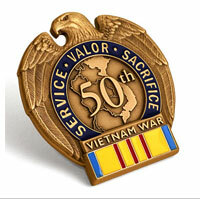 Are you a veteran of the U.S. armed forces? We want to hear about your experiences, from WWII to Afghanistan. Twice a month in this space, we plan to feature the story of a military veteran while on active duty. This is your chance to tell a tale for 50,000 people to read. There are several ways to submit: upload your stories with photos to our discussion group on MFN, email them to MP@MarineParents.com, or mail them to Marine Parents, PO Box 1115, Columbia, MO 65205. Marine Corps Marathon in Washington D.C. Both the Marine Corps Marathon (MCM) and the MCM 10K Sunday, October 29 in Arlington VA are SOLD OUT. But, all is not lost! The MCM Healthy Kids Fun Run still has spots to register for children, ages 5-12. This event is held on Saturday, October 28, and takes place in a festival atmosphere complete with music and food in the Pentagon North parking lot. So pry the ipod out of your kid's hands, and take them over to the Pentagon for a refreshing one mile run Saturday morning. Also, if the MCM 10K is not an option, you can still participate in the Quantico MCB Turkey Trot. The 10K starts at 0830 on Saturday, November 17, on the base. Even if you can't participate in one of these races, start getting in shape now for a brand new slate of Team Marine Parents events. The new schedule will be out by Thanksgiving, and events start New Year's Day! Mark your calendars! The next chat night with Dr. Bridget Cantrell is Thursday, October 18, 2012 from 8- 9:30 p.m. CST. The topic of discussion is post-traumatic stress disorder and warrior transitioning. Military personnel and spouses, parents or other adult family members who would like to learn more about PTSD and warrior transitioning are invited to attend. The banner photo is a Marine Corps photo taken 10/03/2012 By Lance Cpl. Joseph Scanlan. A Landing Craft Air Cushion lands on Ocean Beach as part of a demonstration during San Francisco Fleet Week Oct. 3. Fleet Week is dedicated to showing civilians the United States military's capability of humanitarian assistance and disaster response preparedness on the home front. Armored trucks: The accompanying photo in the MRAP article is a Marine Corps photo taken 9/08/2009 By Cpl. Aaron Rooks. Gunnery Sgt. 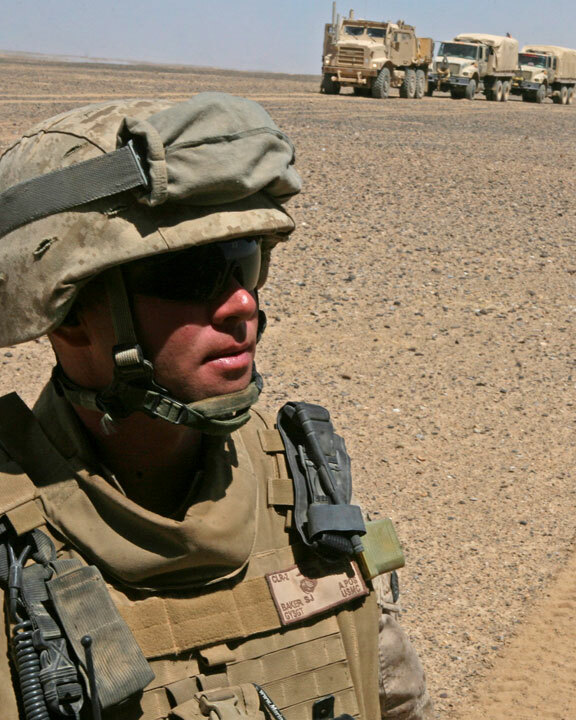 Steven Baker, motor transport platoon sergeant, Truck Platoon 2, General Support Motor Transport Company, Combat Logistics Regiment 2, Marine Expeditionary Brigade-Afghanistan, stands outside of a Mine Resistant Ambush Protected Vehicle, Sept. 8, 2009, in Helmand Province, Afghanistan. Baker, a Oconomowoc, Wisconsin native, served on the convoy as assistant convoy commander.